"I'd never really worked with a realtor before, but having owned my house for 23 years, I knew I needed someone special. Cindy fit the bill, she was totally supportive from the get-go: meeting me at Lowe's to do shopping for things I needed to get for the house, things I was clueless about. She was very knowledgeable about all the complexities of listing & selling a house, but very down to earth in her approach. She never let me down in any communication issues, and was always prompt and responsive. It was always foremost in her mind, that she was working for me and for my best interest. I highly recommend Cindy to anyone who needs a rock-solid real estate agent." "Cindy is by far the best realtor around and overall a wonderful person to know and work with. She helped me and my husband buy our first home together. Without her we would have been lost! She cares more about her clients than she does making a sale which means a lot when purchasing a home. She made sure we knew everything we needed to feel comfortable in our decision and put our wants and needs first. I highly recommend working with Cindy and hope she can help you like she did us." "I was referred to Cindy by a couple that I have know for a while. I was interested in buying their beach house but I needed help with representation and to be able to feel like I was protected. Cindy met with me and I knew right away I had an ally. Buying a home is something I am not foreign to, but with everything I have going on I needed someone who would be looking out for me with all of the details. Cindy met with me to write the offer, go over the comparables and negotiate the particulars. She helped me with the inspections, all of the paperwork and finding an attorney. In addition she helped me with a personal attorney to help me with some other financials and personal issues where she took notes so I could refer back to her on anything. When we had issues with the condo documents , she had it all figured out in no time. Issue? Done. Another issue? Done. She was always on it!! Not only did she help me with the purchase, she found me a short term rental and helped me negotiate a price, for which she got ZERO but because she was just helping me out and that was all that mattered, she was fine with it! Soon, I am moving into my remodeled condo on the beach and thanks to Cindy, I feel like things could not have gone smoother. She has a Don't Sweat The Small Stuff attitude but she knows all too well when to push on something. Cindy has all of the best of the best qualities a realtor could have. Cindy even did another agents job when she dropped her balls on another one of my sales transactions. Cindy will always be my "go -to " realtor from now on and in fact she will be selling my parents home in the near future! I can't say enough about how happy I am that my husband and I were referred to Cindy! If you need a realtor to buy or sell, you won't regret using the hardest working person I know, Cindy Caskey." "Ms. Caskey was extremely knowledgeable and focused on helping get our place ready to sell. She knew all the right contacts to help with any repairs, was well received by all, and everyone wanted to get the work done for her/us. She had great communication skills and worked tirelessly to help us sell the Townhouse. We will be enlisting her services again with other properties that we sell, in fact, we have already given her another property to list when the time is right. Hiring her again speaks volumes to how much we respect her input and suggestions. She's fantastic!" "Cindy is a great realtor, with extensive knowledge of the Hampton Roads area and the housing market. She helped me find my preferred style of house, on a beautiful pond -- within my price range. We found this house the day it was placed on the market, she met me at the house to do a walkthrough, and we wrote an offer that night. Cindy used her expertise to work in a deadline for the seller to accept this offer letter since we both knew it would get many offers and quickly go off-market. The seller's agent reported how much he appreciated the wording of that deadline, which ultimately meant a quick sale for the seller and a less stressful waiting period for me as the buyer. Furthermore, during the inspection, Cindy offered to pay for a check-up/ maintenance of the fireplace as a home-warming gift to me. During this check-up, the fireplace was found to be "shot" and would need to be completely replaced. Prior to me arriving to the walk-through and finding out about this, Cindy and the fireplace maintenance employee made an agreement where she would pay for a whole new setup (costing several hundred dollars). I was hesitant to accept such a generous gift, but Cindy insisted stating she wanted me to feel safe. Long story short, choose Cindy!" "Cindy is awesome and continues to be an amazing asset. She helped my wife and I purchase our home last year. I flew in from California on house hunting leave and met her at the airport. To maximize my time she had a 3-day house hunting plan laid out. We covered all my major areas of interest and by the end of day three we were drafting up offers. Her local knowledge of all the areas is impressive. She is able to give the low down on every area we visited and guide us towards what we wanted. After an offer was accepted she handled everything while I was back in California. It is my 4th purchase, and out of 4 realtors in 4 states she made it seem the easiest, buying a house with her was fun. We felt like she helped us get the best deal possible. As a local expert, she is always available and continues to provide helpful advice and recommendations. I would recommend her again and again." I wanted to write to you about one of the Realtors in your office. I rarely take the time to comment on things in today’s busy world, however, I feel very strongly about giving credit where credit is due. I spoke with Cindy Caskey on the phone on May 11 and met her on May 12. On June 20, she was at the closing on my new house. In that timeframe, I feel Cindy was working only for me. Having only been in Virginia Beach for 3 years, I had some idea of where I wanted to live. Cindy was extremely knowledgeable about the area, taking the time to explain the locations and vibes of different neighborhoods. Cindy also understood that my career was time-consuming for me. Her knowledge and use of technology - texts, emails and the “loop” – took away the burden of having to answer a phone call at an inconvenient time. Any communication I sent her was answered in a lightning-like fashion, in a direct, no-nonsense matter. If I did feel the need for a phone conversation, Cindy was very accessible. I also feel that Cindy was a true advocate for me. She walked me through some of the subtle things I should think about; never telling me what to do but making me aware of options. When the home warranty was not included on some paperwork, Cindy went to bat for me, cc’ing me on all correspondence. I truly respect Cindy’s knowledge, dedication, communication skills, and hard work. Adding in her sense of humor, these are qualities that not only make someone a great Realtor but a great person." 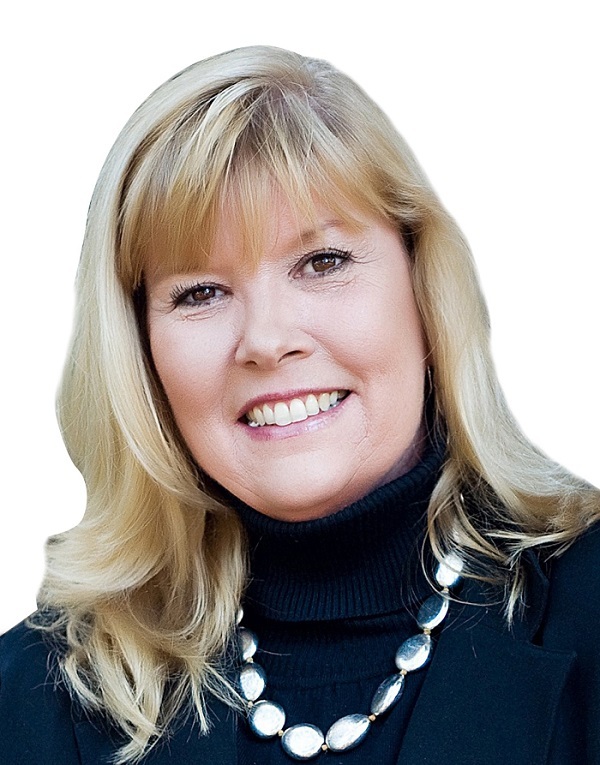 "Cindy Caskey is a very thorough realtor, who will assist a client with all of their real estate needs. If she does not have the answer she will work diligently to find it. Cindy has been working with us for over six months to obtain the best fit for us. We found Cindy through Zillow at one of her listings. Although we did not move forward on that property, Cindy showed us many houses until we found the one we wanted. Cindy was very patient with us through this whole process and she helped us understand important details we would have otherwise overlooked. We trusted her to provide us with information and to obtain our home." "Cindy Caskey was very resourceful on VA home loan guidelines. Cindy was prompt on getting us information we needed as we selected a house. Cindy has walked us through every step on purchasing our new home." "I couldn't imagine a better Real Estate Agent! Cindy's Qualities: 1.Realistic - Cindy was always realistic as she answered me, how she said it was how it was and I didn't have to think "what did she really mean?". 2. Support - Cindy was always available and when not, I always got a call back later. 3. and 4. Follow-Through and Dependability - What Cindy said she would do, she did. I didn't have to check back to see if things were done, they were just done and more importantly, things were done right! 5. Knowledgeable - Cindy knew her stuff!! I 100% trusted her and I saw, again and again, proof that what she said was true. 6. Tact - Cindy's got it! She knew what to say and how to say it to my buyers, to my buyer's agent, to me, to my neighbors. Tact! 7. Trust - I live in Europe, Cindy coordinated and executed everything for me with no problems. From start to finish. That's more than being dependable, I needed to trust Cindy with many things and that was easily done. 8. Personable - during the first phone call with Cindy, I was in tears. Here I am with a house I needed to sell, ASAP and a small budget to fix it. Cindy listened and gave me advice based on her years of experience. From this first phone call, Cindy put together a plan and we got the house sold! 9. and 10. Quality!! Not only did Cindy do her Job, she always did above and beyond what was expected of her. Overall: I was always surprised and feel very lucky to have met Cindy and have had her as my Agent. If I had a different Agent, I would not have had as successful a sale on this home." "I worked with Cindy in the years 2011 and 2012. I am a very high maintenance buyer and waited and waited for the perfect opportunity. Cindy wrote multiple offers for me, was always willing to meet me at my house, at work, or wherever was convenient for my busy schedule. She is an excellent negotiator, smart, professional, and is truly on the side of her client. I would recommend Cindy to anyone that is buying or selling a home." "As a 30 year veteran in the business, I have had the good pleasure of working with Cindy Caskey for several years. What impresses me most is how hard she works for every client. Cindy will take weeks and months to ensure the house and the client are ready prior to marketing a home for sale. She is patient, understanding, and knowledgeable and works well with all ages. From the first time buyer to the Senior moving on to assisted living, Cindy is a great choice. She will listen carefully to you. As a native, she knows Hampton Roads well and will have your best interest at heart as she guides you to buying or selling a home." "Cindy was recommended to my husband and I by a good friend. We have used word of mouth with realtors in the past, but Cindy superseded all expectations. She took the time to thoroughly understand what type of home we were looking for, all the while exposing us to options “outside the box” and always having a thoughtful reasoning for her suggestions. I felt comfortable throwing ideas at Cindy and knew she would be honest and responsive very quickly. When we were ready to put in an offer, Cindy was on top of it. She was informative on what to expect and seemed to be two steps ahead of everyone. Our home buying experience was unique because my husband deployed during the process and we hadn’t moved to the area yet. Therefore, she organized the appropriate POA’s and the ability to close via distance with a notary. To say Cindy can’t handle any challenge is an understatement. She had our best interests at heart and always backed us up when we felt defeated. I have recommended her to another good family friend and am confident they will experience the same professionalism and respect we did. Although we have closed, Cindy continues to check in on us and has gone beyond her job description for our family. I am confident we will continue to do business with Cindy in the years to come."